Many eulogies have been written about the stately city of Argolida as a tourism destination. The secret however in having a good time, is to arrive on an ordinary weekend, avoiding holiday seasons. 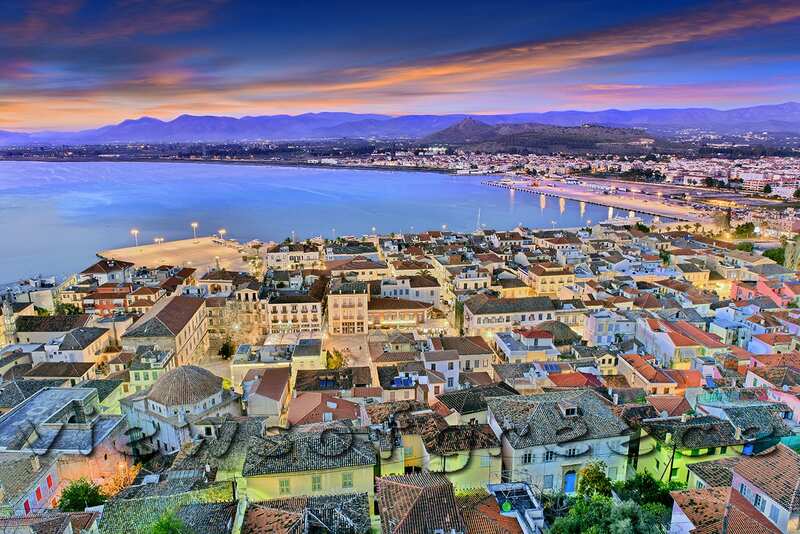 From afar, from up high, or from within, wherever you choose to look at it from, Nafplio will charm you. A visit to the historical castle of Palamidi, the best perhaps vantage point in Argolida, is imperative. You can reach the Castle’s entrance in your car, or you can climb the 857 steps connecting the city with Palamidi. 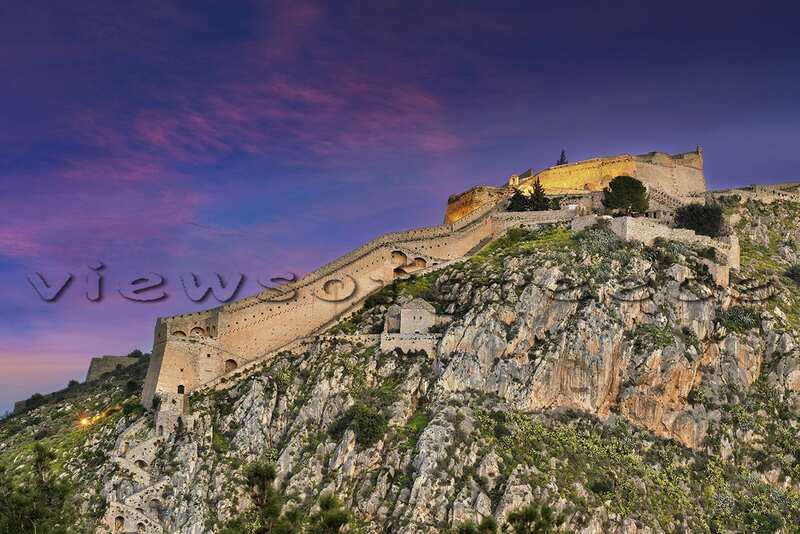 The original idea for the fortification of the hill belongs to Morosini, the Venetian General during the Venetian conquest of the Peloponnese (archeol.Service 27520 28036). 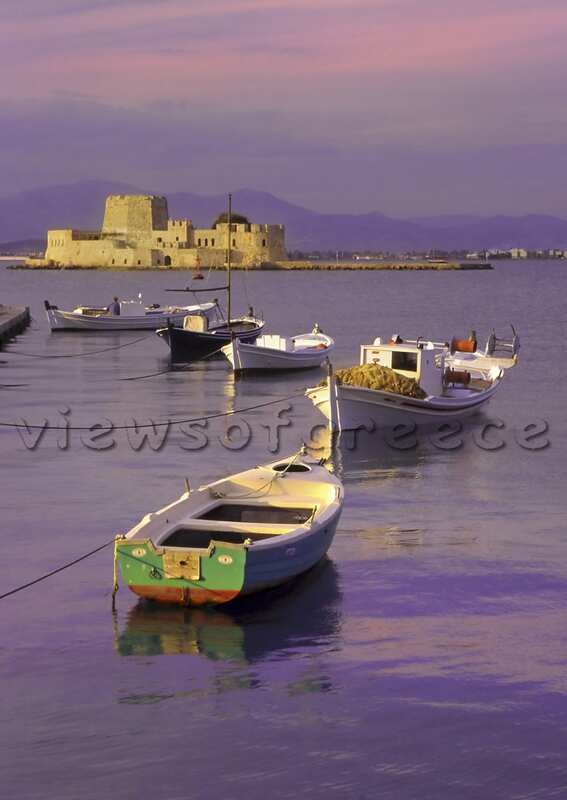 The myth has it that the city was founded by Nafplios, the son of god Poseidon. 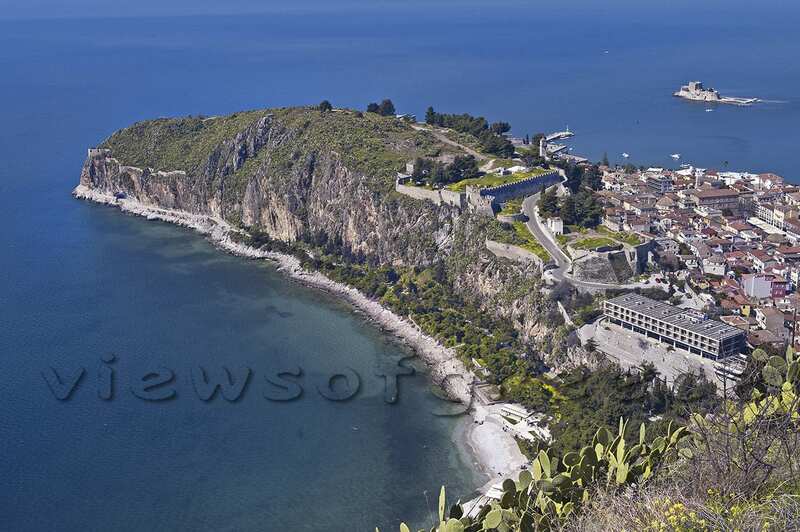 The Venetians, lords of the seas, called it the “Naples of the East”. 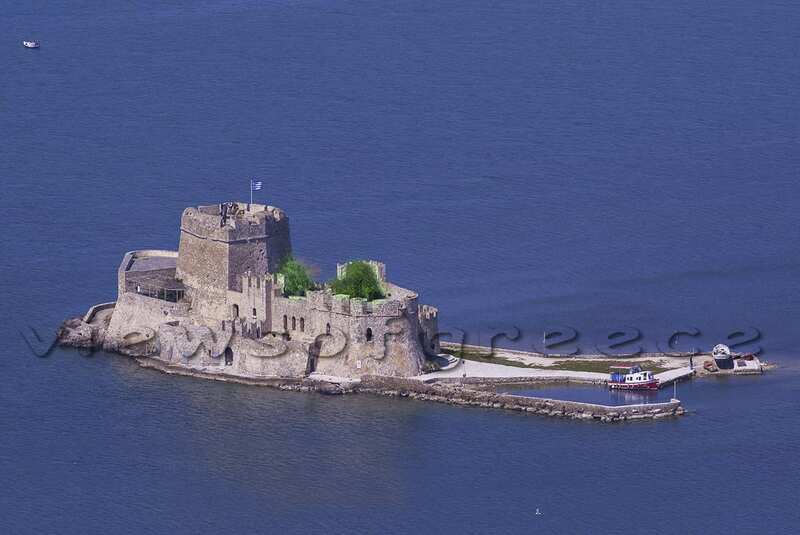 In November of 1822, the Greeks took over the castle of Palamidi by surprising the Turkish occupiers. 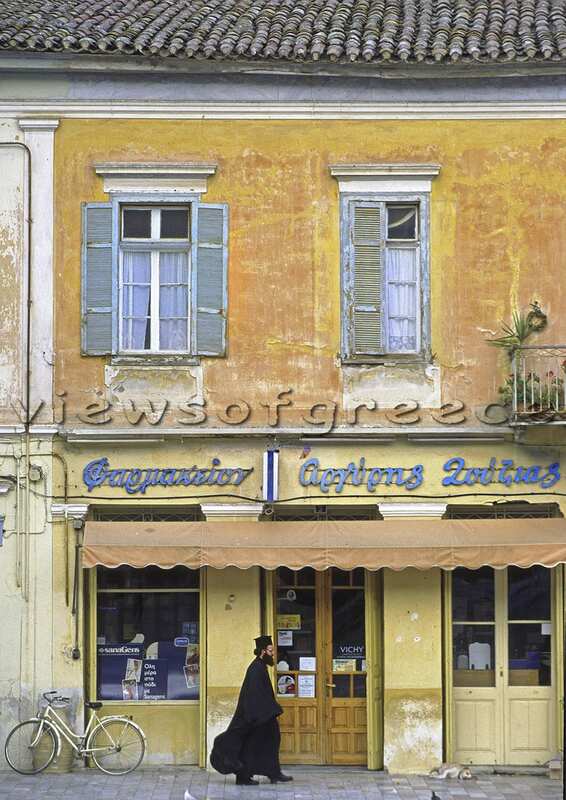 In 1829, with the arrival of Kapodistrias, the first Governor of Greece, Nafplio became the first capital of the free Greek state. 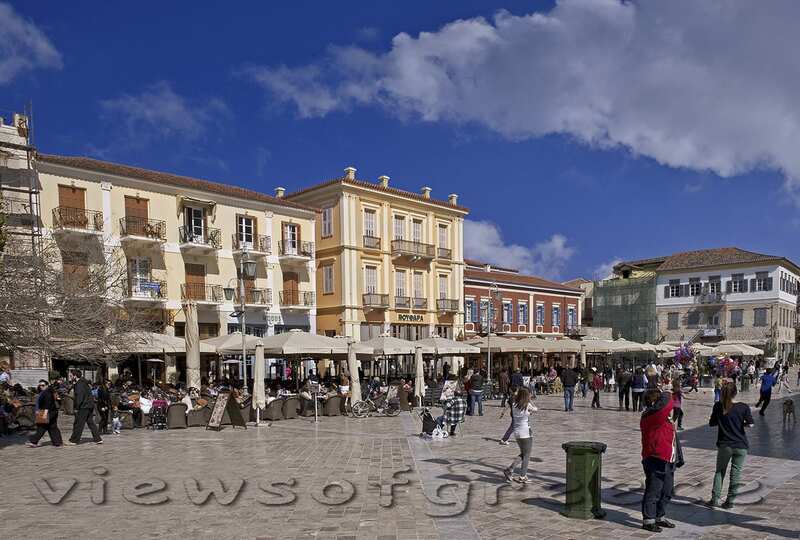 The most beautiful neo-classical buildings can be seen here, including the imposing Venetian building that today houses the archaeological museum, the Vouleftiko – the old mosque that in 1822 housed the first Parliament of the Greeks, the Military School, the Military Ministry, as well as plenty of restaurants and cafes. Close by you can visit the church of Agios Spyridonas, the site of the assassination of Kapodistrias which took place on October 9, 1931. The central pedestrian road, Vassileos Konstaninou – or the “big road” as the locals call it – crosses the old city from the park to Syntagma square. Dozens of shops with gifts for all tastes will draw your attention. 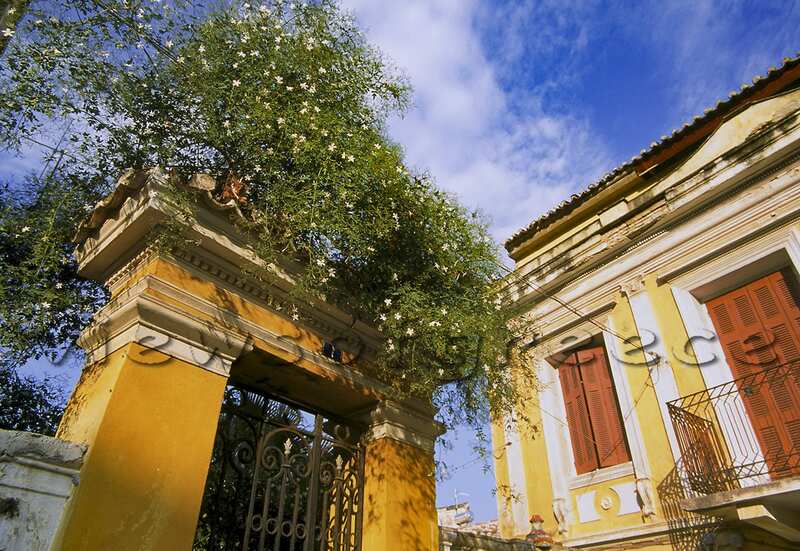 It is the old houses however, the blooming flowerpots in the doorways, the countless steps that take you to the higher neighbourhoods, the old stone relief fountains that compose the authentic picture of Nafplio. Bourtzi is the city’s landmark and most prominent monument, a favourite subject for photographers, built on the island of Agioi Theodoroi. The Castello dello Soglio, as the Venetians named it, was built by Italian engineer Gabello in 1473. You can visit it by excursion boats. Take the tour of Akronafplia on foot. You will never forget the view from the old “Xenia” hotel to Arvanitia beach, the old town and the castle of Palamidi towering over the city. The archaeological Museum is housed in an imposing building on Syntagma square, built in 1713. 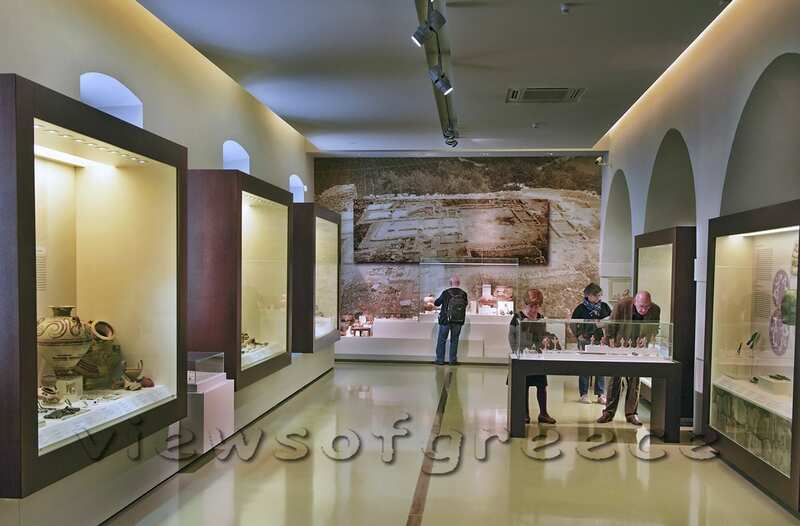 Its collection includes exhibits from the early Helladic Period up to the Mycenaean era and the historical times. It is worth noting the stone columns of Midea, that are megalithic monuments (menhir), the Mycenaean Linear B tablets and the bronze breastplate found in Mycenaean tomb Dendra (Tel.+30 27520 27502). The War Museum (Tel +30 27520 25591) and the Komboloi -worry beads- (Tel +30 27520 21618) Museum are also very interesting. 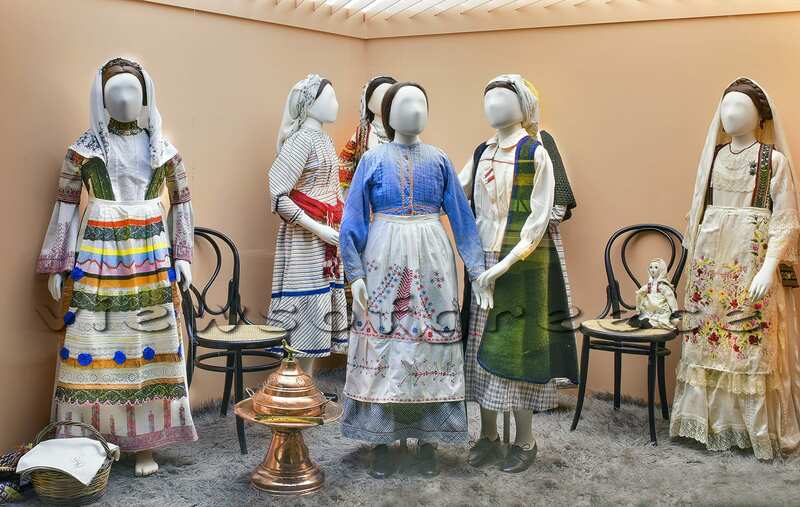 Special reference should be made to the Folklore Museum with more than 25,000 exhibits that won the European Prize for Museum of the Year in 1981 (Tel +30 27520 28379). The beaches: The small, but popular Arvanitia beach, lies at the feet of Palamidi castle. 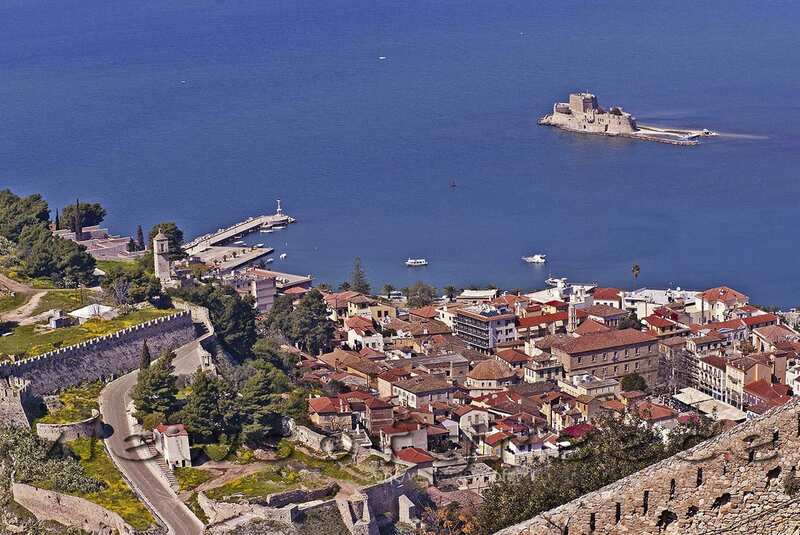 Very popular and organized with umbrellas and canteens is Karathona, the long one at the south of Nafplio. According to the law:2121/1993 and the international treaty signed in Bern (which has been ratified with the law:100/1975) reproduction of this work is forbidden in any way, partially or on the whole, including texts or photographs alike without the written consent of the creator. 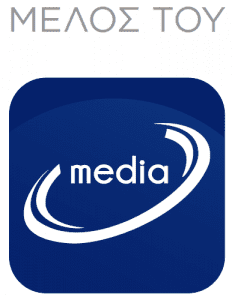 Intellectual property is aquired without formalities and without the need for provision prohibiting its disputation.